Michael Thompson is the President and CEO of the National Alliance of Healthcare Purchaser Coalitions (National Alliance), an association of approximately 50 regional coalitions collectively supporting over 12,000 healthcare purchasers providing health coverage to more than 45 million Americans. The National Alliance helps to lead improvements in health, wellbeing and value for our companies and communities across the country. Prior to joining the National Alliance, Mike was a Principal at PricewaterhouseCoopers (PwC) for 20 years. Thompson is a nationally recognized thought leader for business health strategies and health system reform. He has worked with major employers and other stakeholders on sustainable cost reduction, integrated health, wellness and consumerism, retiree health, private health exchanges and health reform. Known for developing and promoting collaborative cross-sector health industry initiatives, Mike participated on the steering board of the World Economic Forum’s “Working towards Wellness” initiative and co-founded the Private Exchange Evaluation Collaborative (PEEC). 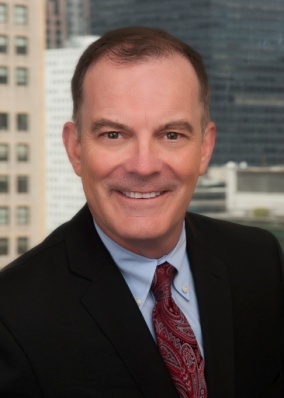 Prior to PwC, Mike served as an executive with diverse roles with Prudential Healthcare for over 17 years. Mike is a Fellow of the Society of Actuaries, serving on the Health Practice Council, and chairs the Medicare Sub-Committee of the American Academy of Actuaries (AAA). He is also widely recognized as a leading national advocate for mental health and wellbeing and was Past President of the New York City chapter of the National Alliance for Mental Illness (NAMI). Mike previously was an active member of the board of the Northeast Business Group on Health for 11 years.